I was probably only thirteen years old when I first wrote those words down on paper. I didn’t know how to feel about those words…every syllable was filled with uncertainty and inked with a bit of doubt, but the hopeless romantic inside me did not stop myself from writing letters throughout middle school and high school. 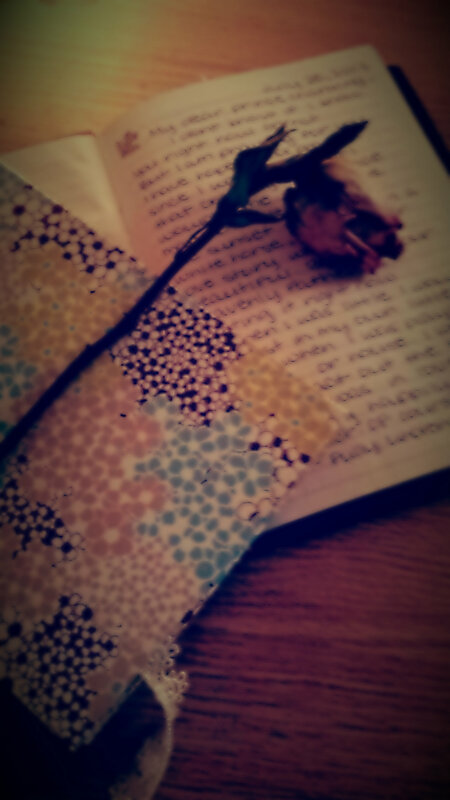 I remember writing my first letter just about this time of year, around Valentine’s Day. Believe me, those adolescent days were no fun. While most of my friends were receiving chocolate in heart-shaped boxes and riding off to fancy restaurants with their boyfriends, I was alone, in my house, contemplating life and wondering why I felt so lonely. It was those moments when my mind drifted and I began to daydream. I daydreamed of someday finding a young man who would sweep me off my feet and take me to fancy restaurants and surprise me with little gifts. I imagined myself not being left alone on Valentine’s Day and being able to share it with someone special. I imagined the day I would date the right man, and marry him. Kyndal Jayroe, a sophomore, shared with me her experience with writing letters to her future husband. “That summer I wrote my first letter to my future husband, it was simple and sweet. I told him that I would save myself for him and him alone. That I would pray for him, and that we would live happily ever after.” However, as much as any girl would love to someday meet her prince charming, Jayroe expressed to me that the most important relationship any girl should have is a relationship with Jesus Christ: “God is my first love and the only one who has always been with me,” Jayroe said. Even though writing letters to your future spouse might not be your thing, or perhaps you might find the whole notion ridiculous, it wouldn’t hurt to keep your future spouse in your mind and prayers this Valentine’s Day. Who knows, perhaps he or she is somewhere out there, thinking and praying for you too.